What do we know about the five academy chains set for £5m windfall to improve northern schools? What do we know about the 5 academy chains set for £5m windfall to improve northern schools? Five academy sponsors will be handed grants totalling nearly £5m to “drive up standards” in schools across the north of England, education secretary Nicky Morgan will announce tomorrow. Ms Morgan said the five “top performing” academy sponsors will be tasked with “improving performance for pupils in some of the most challenging and disadvantaged areas of the country”. Minister for the Northern Powerhouse James Wharton said “experience, leadership, and the chains’ strong track record of success” will mean northern school children can now fulfil their potential. The trusts will set up seven new “academy hubs” in five target areas identified by regional schools commissioners: South Yorkshire, Bradford, Greater Manchester, Northumberland and Tees Valley. The department said work is underway “with an expectation that schools will become sponsored academies and join the hubs” throughout next year. But what do we know about the chains? The trust was set up by Sir Michael Wilkins, chief executive of the trust and principal of Ofsted-rated outstanding Outwood Grange Academy, near Wakefield. He took over the school in 2001 when it was ranked in the bottom 10 per cent of schools in the country for performance. It is now ranked in the top 10 per cent with 84 per cent of pupils gaining five or more A* to C grades, including English and maths, and Sir Michael’s trust now heads fifteen academies across the region. However Sir Michael has faced previous controversy over his pay, including in 2011 when it was reported he had been paid nearly £500,000 for helping to improve other schools – on top of his £182,000 principal salary. A financial audit by Wakefield Council later that year reportedly uncovered an “excessive rewards culture” with lavish spending on foreign trips. The council claimed payments had not been properly authorised, but Outwood Grange said both the Charity Commission and DfE had no concerns about the financial management. 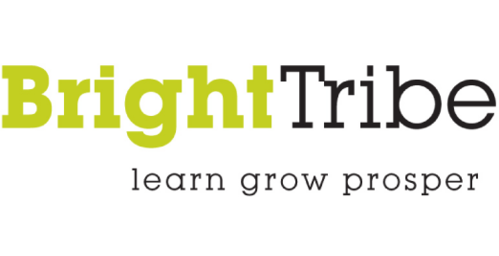 The DfE said Bright Tribe has a proven track record of successfully managing geographically dispersed academy hubs – making it well-matched to the challenge of working in the North. The trust has been chosen as the preferred sponsor to takeover Grindon Hall Christian School, a free school in Sunderland, after it was rated inadequate by Ofsted. However the school’s founders have claimed “exerted pressure” from the government to accept the takeover. The Guardian reported last month the chain paid two of its governing trustees £300,000 between them – despite only having two schools to oversee at the time. Accounts also revealed 12 staff had been given payoffs of £238,745. WCAT has 16 schools across the northern regions highlighted as needing intervention by Ms Morgan. The trust was praised by Ofsted in only the third focused inspection into an academy chain in July. The previous two chains had faced criticism for underperformance. The trust hit the headlines in September last year after it sacked the entire board of governors and suspended eight staff amid cheating allegations at one of its schools, Goole High School Academy. Tauheedul runs ten Muslim faith-based schools and has provided leadership programmes in more than 100 schools across the North West. Schools Week revealed last month the trust is looking to expand into the non-faith sector and is set to take over three community schools, one in Blackpool and two in Bradford. All four of its schools that have been inspected have been rated as outstanding by Ofsted, with Tauheedul Islam Girls High topping the Schools Week’s GCSE league table of disadvantaged pupils’ performance in January this year. Founded in 2012, REAch2 is now the largest primary-only academy trust in the country with 49 schools under its wing. The trust was founded by Steve Lancashire, who is also executive headteacher at Hillyfield Primary School, in Waltham Forest. A former trustee includes Mark Elms who was reportedly the “highest paid teacher” in the country in 2010 after earning £276,523 while head of Tidemill Academy in Deptford, London. The chain’s work in the north will fall under a new trust called REAch4. Correction: This article was amended on November 3 to clarify Steve Lancashire set up the trust, not Mark Elms. What an extraordinary account of financial excess at a time of austerity. The National Audit Office should investigate. This appears to be gross misuse of public money for dubious private individuals’ profit. £5million or £1million per sponsor. I would be very interested to see the detail in the proposals from these chains showing exactly how they were going to implement changes, and how many pupils it actually applies to. Hopefully we will see some published figures in a year or two that demonstrates how this funding impacted on outcomes, and those sponsors will be judges on value for money outcomes. No? Who is pulling the strings here? What is going on in the Department? Who on earth is it that is advising Nicky Morgan? Or is it she herself in the driving seat? A fledgling Free School in Durham was given sledgehammer treatment in spite of massive parental protest. A school in Sunderland that moved from the private sector to acquire Free School status is classed as a failing school although the majority of parents are satisfied with it and with the GCSE results it has obtained. It needs improvement in governance and financial management, serious issues, but surely a school should only be called ‘failing’ when its academic record is below standard. Does the fact that both these schools have a Christian ethos have any bearing here? An evangelical Christian ethos, specifically. There couldn’t possibly be some bias, could there?